BOOK REVIEW: Road Block is "the best book ever"! 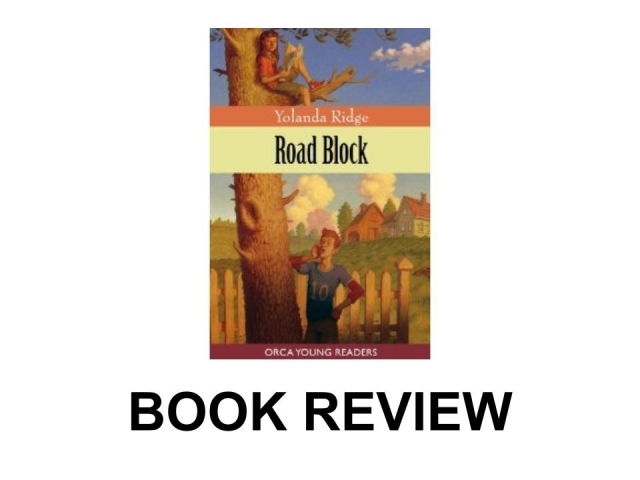 Roadblock by Yolanda Ridge is the BEST book ever!!! When a city council threatens to put a road through her grandmother’s farm, a twelve -year -old girl named Bree decides to take action. She must find a way to save the farm. I thought this book was well written and at the end of each chapter, it was in the middle of something interesting which kept me reading on. I liked that the characters had many different personalities. I liked Uncle Doug, because he said Grandma was crrraaaaazzy! I thought that was really funny. I also have an uncle Doug. Brianna (who’s nickname is Bree) was a great character too, (well I guess that is because she is the main character.) She is only 12 years old and stood up to Percy Murfin, a mean, business-like man who is very snarky and powerful. Brianna is a brave girl, a really brave girl (I could never do what she did, but she taught me to stand up for what is best for me). I wouldn’t change anything about this book. I think everyone who can read will love this book just like me. Loren Corkill is a student at Maclean Elementary. Yolanda Ridge's new novel is available locally at Cafe Books West in Rossland.